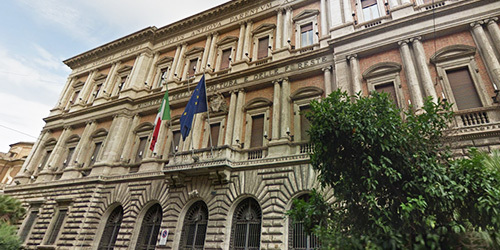 The Mediterranean Advisory Council, MEDAC, is a non-profit organization which pursues aims of general European interest, the headquarters is in Rome, Italy. The MEDAC is made up of European and national organizations representing the fisheries sector (including the industrial fleet, small-scale fisheries, the processing sector and trade unions) and other interest groups (such as environmental organizations, consumer groups and sports/recreational fishery associations) which operate in the Mediterranean area in the framework of the CFP. The area covers the maritime waters of the Mediterranean Sea to the east of the meridian of 5° 36' west longitude. The role of MEDAC includes the preparation of opinions on fisheries management and socio-economic aspects in support of the fisheries sector in the Mediterranean, to be submitted to the Member States and the European institutions in order to facilitate the achievement of the objectives of the CFP; MEDAC also proposes technical solutions and suggestions, such as joint recommendations (ex. Art. 18 Reg.1380 / 2013) at the request of the Member States.